Why was I selected? How was I blessed to be one of the chosen few regardless of the circumstances? Now what? These are the questions that continued to haunt me leading up to the Ethiopia trip in October. An elite team of four seasoned Wine To Water volunteers and two rock solid Wine To Water staff were hand selected for this inaugural trip to Ethiopia.....and me. How me? Why me? Reflections of our time working in partnership with Water for Life International and in-country ground partners are kept fresh through pictures....not photos....pictures. Pictures of villagers captured with the simple click of an iPhone. Pictures witness to the joy at the size of a woman's family, garden and work. A picture that caught the look on the face of an established elder who marveled at my alabaster skin with unfettered delight. Pictures of women and young girls who no longer will have to haul jerry cans on their backs multiple times each day for potable water. Faces of the children who were uncomfortable with seeing a man willing to do "woman's work." 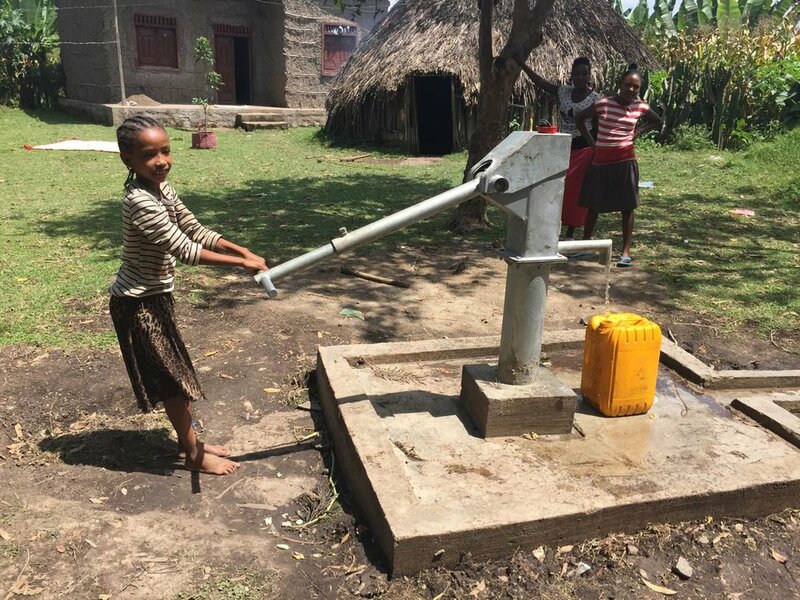 And etched on my heart forever is the little girl whose jerry can I carried; who on our last day illustrated her commitment to the work we had played a small hand in, by continuing to pump the newly installed well until clean water flowed. Back in our normal attire, hair down, and without work gloves to protect our skin, we saw God's hand in our purpose - in His time, not ours. We take photos and use photoshop to make them "real," but God's creation needs no paint, no edits, no cropping for reality is revealed in His truth. I found that truth in a young girl willing to express her love for us with each pump of the well. Her joy is real. Her picture is real. For that one child, our work was real, including mine.